Robin Dorman is a health and medical psychologist at Northwestern Memorial Hospital. 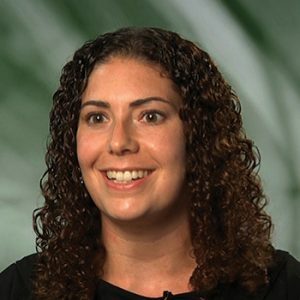 She served a psychological residency in the Boston VA Healthcare system, where she worked on an inpatient rehabilitation unit for veterans with all levels and severity of spinal cord injury. She was a member of the rehabilitation team which provided support, assessment, education and psychotherapy to patients. 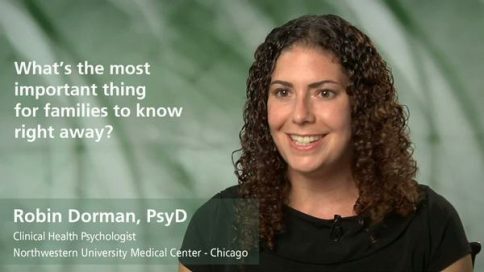 She is currently an instructor in Psychiatry and Behavioral Sciences at Feinberg School of Medicine, Northwestern University. What emotions are common in patients with new spinal cord injuries? What emotions do family members commonly experience after a spinal cord injury? What are family members going through after a spinal cord injury? What’s the most important thing for families to know right away? Can you expect feelings of depression and anxiety to get better as time goes on? How do relationships change after a spinal cord injury? What’s the best way to avoid “caregiver burnout”? What basic lifestyle needs of their own do caregivers often ignore? What should caregivers do when they feel overwhelmed?